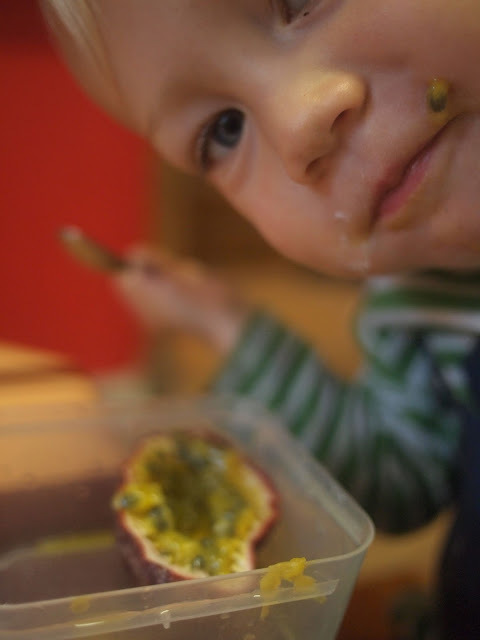 The latest fruit discovery for Noah has been granadilla (passion fruit). It's actually an invasive species in Durban, and growing up the granadilla was so plentiful in our garden that it literally fell from the sky (the vines would climb different trees and fences). Now, we are growing 3 plants outside, but I'm not sure how well they'll do in Cape Town, which has less of a tropical climate. 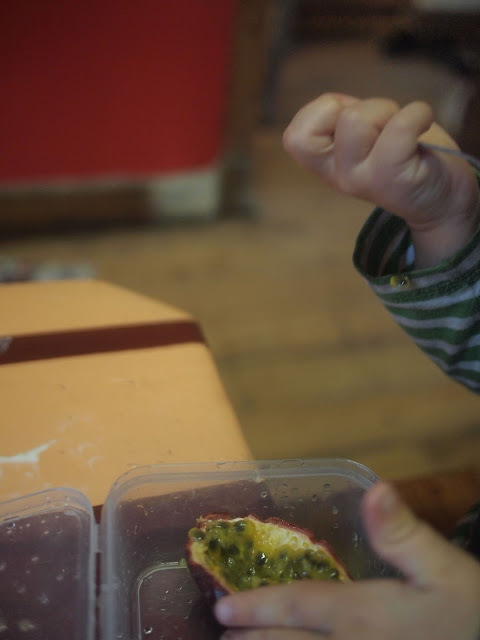 We went one week without as much produce, because I hadn't gotten to Fruit and Veg City, and I noticed a difference in Noah's behavior- he was both hyperactive and moody. A couple of days of eating really well again, and he's back to his usual self. The abundance of affordable fruit is one of our most tangible blessings here in Cape Town. Good food and time, who could ask for more?